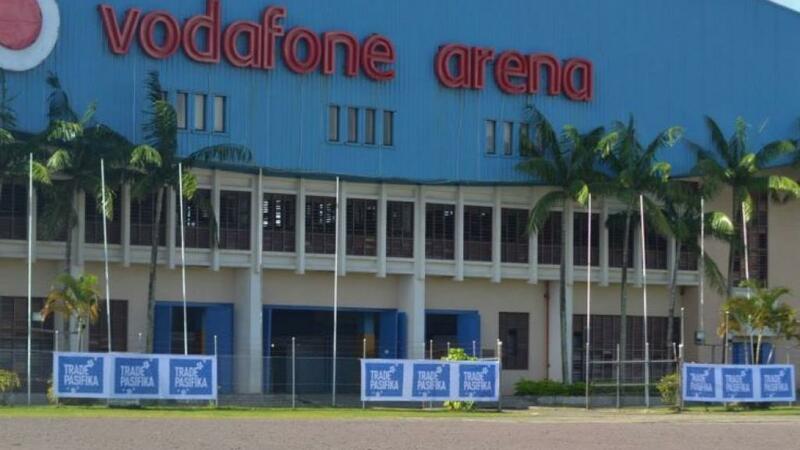 Last night marked the opening game of the Oceania Netball Series at Suva's Vodafone Arena which saw New Zealand's Silver Ferns thrash the Fiji Pearls with an 81-21 score which was heavily dominated by the Ferns. Eager to redeem themselves after their last match in Singapore in 2011 during the World Netball Championship, which saw the Pearls beaten once again 25-80. However, although the final score may be shocking, it doesn't reflect the physicality and tenacity with which Fiji played. Mingling at The Pearl South Pacific Resort in Pacific Harbour the day before the game, both teams seemed optimistic about the outcome of the game. Ranked number two in the world, the Silver Ferns were confident in their ability while the Fiji Pearls felt the mix of senior and new players offered the right balance between experience and a fresh perspective. However it was clear the Pearls were excited, if not a little daunted, by the opportunity to experience netball on an international scale. Despite being three all in the opening minutes of the game, Fiji quickly fell behind as simple mistakes lead to a costly 8-18 score by the end of the first quarter. Although the Pearls performance improved in the second quarter, it still wasn't enough, with Fiji trailing 19-36 at half time. By third quarter, the Ferns stormed to a 58 point lead. The Silver Ferns put their success down to a very experienced side but conceded that they had come prepared in recognition of the quality of the Fiji side. Acknowledging the vocal home crowd as their motivation to maintain their intensity, Fiji were gracious in defeat. Recognising that despite bringing a fairly physical game, their ultimate downfall was fitness. However it has proved to be a valuable learning curve for the Pearls who now feel more prepared to face top gun teams.